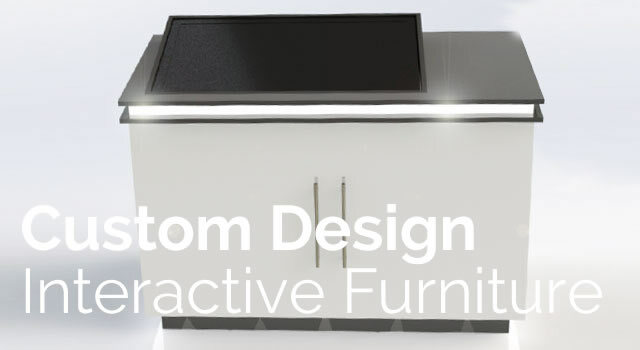 LifeSize Touch are UK manufacturers of beautiful custom designed interactive furniture. Our solutions provide a unique format for interactive, consultative selling or information access in a range of business environments. We can create stylish furniture to house your technology hardware in an attractive and inviting design that will compliment the rest of your interior or completely match your brand colours. The design shown here has been created for Barratt Homes for their property marketing suites, with finish in high gloss white and grey to match the rest of their showroom interiors. A 42″ multi touch screen with Android PC, provides a large format interactive display to showcase their stunning range of homes and interiors.